Are you envious of the people who seem to effortlessly drink the recommended eight glasses of water a day, continually refilling their water bottles when you realize you haven’t had a sip since the gym fountain the day before? You’re not alone. Some people just don’t like the taste of water, and anything else is preferable to choking down a glass of tasteless (or bad tasting) water. The average adult needs to drink at least ten cups of water per day and nearly half of Americans don’t drink enough water. If you’re active? You need even more. We all know it’s important to get enough water, yet for some, it feels like a daunting task. Water can, in fact, be quite challenging for some people to drink, as the lack of flavor can make you more cognizant of the act of swallowing, which can induce a gag reflex. Your body is comprised of around 70 percent water, which means staying hydrated is crucial in helping increase circulation, keeping your skin fresh, maintaining energy levels, lubricating joints, and clearing toxins from your body. Here are our best tips for staying hydrated for anyone who just hates drinking water. 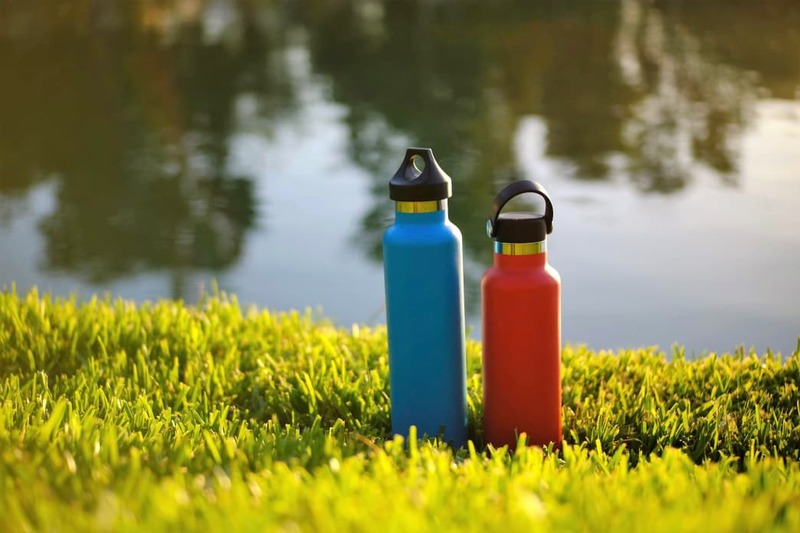 Carrying a (full) bottle with you is a surefire way to make sure you always have water on hand. Keep the design in mind too. Something as minor as a complicated screw lid or an annoyingly wide mouth can be enough to discourage you from opening the bottle. Do you like flip lids with straws? Or do you prefer a broader mouth to get more in one gulp? Choose the right bottle to help you stay on track. A 32-ounce bottle is ideal—try to get through two of them per day, and you’ll be right on schedule. You can try a bottle with reminder lines (and the time you should reach them!) to keep at your desk or stashed in your bag on the go. If you don’t remember to hydrate on your own throughout the day, setting reminders on your phone to go off every hour or two can be helpful to ensure you drink consistently throughout the day. There are plenty of reminder apps out there—something for everyone. These can be fun and engaging, believe it or not. Plant Nanny is a popular option, which lets users “grow” cute plants you can water every time you drink a glass of water. The plants also look extremely sad when you don’t drink enough water, and no one wants to see a cartoon plant die. Plant Nanny is available for both Apple and Android. There are also more basic options, like Drink Water Reminder and Daily Water. The number of flavor options for water additives is seemingly endless. 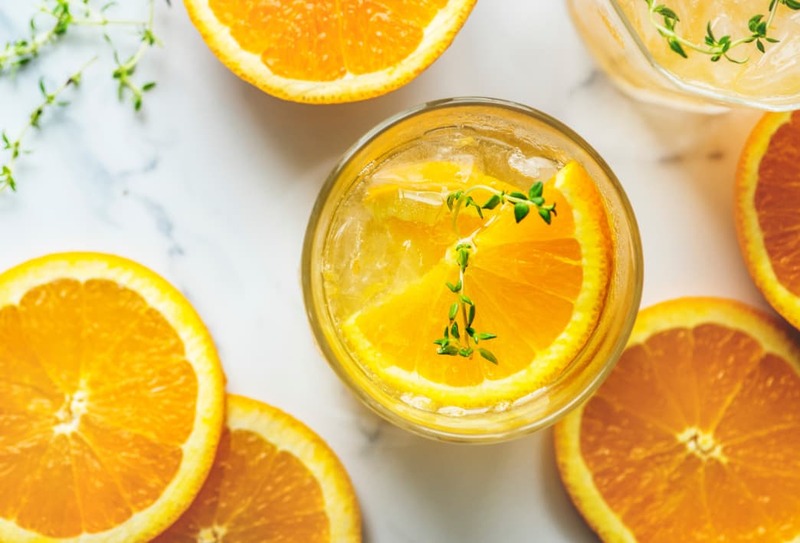 Adding flavor to water either with drops, powder, or a few slices of fruit, can help make drinking water enjoyable and give you something to focus on besides the actual act of trying to put away a full eight ounces. Everly’s all-natural drink mix powder is flavored with plant-based sweeteners, which add flavor without the sugar. Even better, for every packet of Everly sold, they distribute a treatment of life-saving rehydration salts to a community in need. Drink more water, do more good. Goal oriented? This might be the trick for you. You’ll probably feel so good you’ll want to keep going, and creating a habit is the best way to get healthy changes set in stone. Plus, you’ll be amazed at the difference staying hydrated can make in your energy level and overall well-being, so this healthy habit won’t be hard to maintain. Does going from two cups of water per day to eight feel like too much? Increase slowly over the first few days, increasing as you get used to being mindful of your hydration. Eating fruits and vegetables with high water content (watermelon, celery, cucumbers) can help you stay hydrated, as their bulk is comprised primarily of water weight. Plus, you’re getting necessary vitamins and fiber from eating the rainbow. However, eating a cucumber doesn’t entirely replace a glass of water, so make sure you’re still powering through your bottle! If nothing else, this prescribed time can become a habit, and get you to at least 16 additional ounces each day. Try any of the tricks to make the water easier to drink. Adding drops, a slice of lemon, or trying flavored water like Everly. The rest of the day can fill in as you go, but morning and evening are a great way to start and end on the right foot. Written by RootsRated Media for Everly.